Beautifully designed CUSTOM home built in 2017! 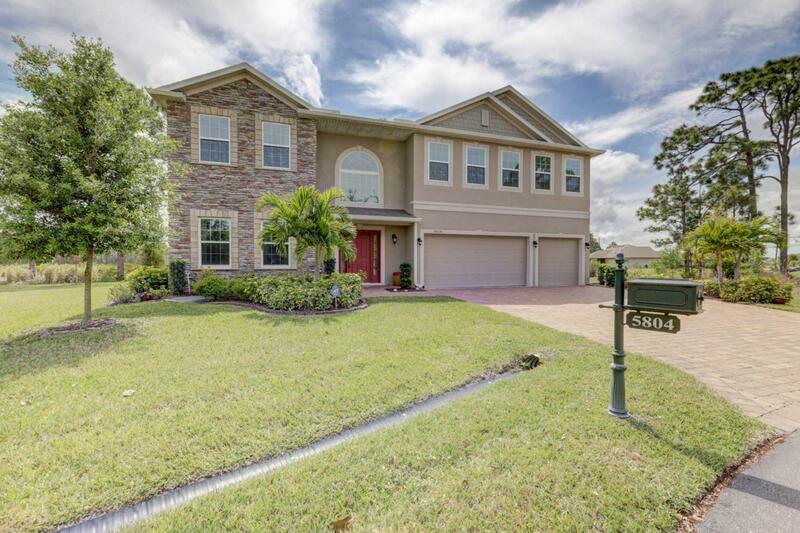 Stunning 2-story home with 6 bedrooms, 4.5 Baths, 3 car garage situated on an extended pie-shaped lot on private cul-de-sac location! 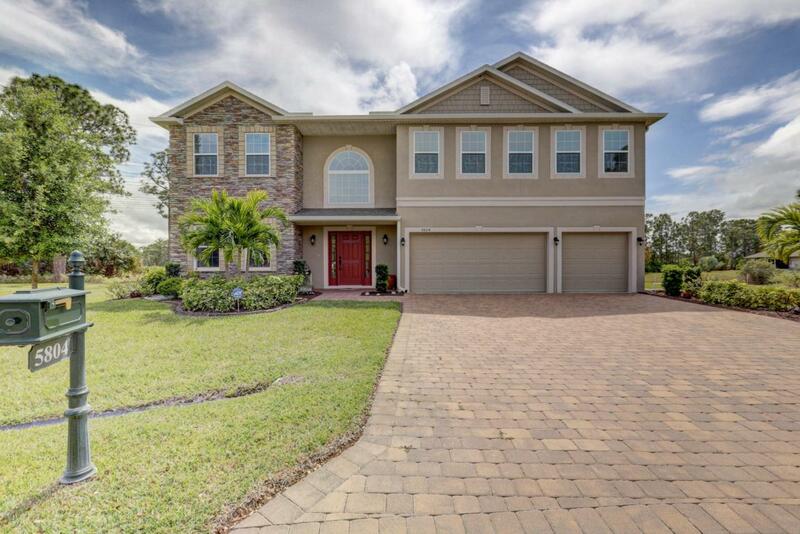 At first sight, the brick features on the exterior of this home and beautifully manicured front entry are impressive as you approach the wide paver driveway. The entire 1st floor is adorned with beautiful ceramic tile, large 51/2 inch baseboards and crown molding, new light fixtures and ceiling fans throughout. Massive gourmet kitchen (20'' x 13'') with 42'' shaker cabinets, stainless steel appliances, granite countertops, extensive tiled backsplash, separate island with granite counters, tons of extra cabinets and overhead pendant lighting.Separate wet bar off the kitchen with granite counters, mini refrigerator and wine holder. Formal dining room and separate breakfast area off the kitchen are perfect for entertaining large gatherings. Light and bright open floor plan with large guest suite with full bath on the 1st floor ideal for mother-in-law or teenager living. Impressive master suite on 2nd floor features beautiful tray ceilings, crown molding, double French doors and 2 large walk-in his and hers closets. Upgraded master bath with large double vanity, oversized and extended frameless shower with 3 shower heads including rain shower system, and separate tub with custom mosaic backsplash. 2nd floor features 4 additional bedrooms + 2 full bathrooms and separate laundry room for added convenience. In 2017, 2 Trane A/C units were installed and panel shutters for the entire home. 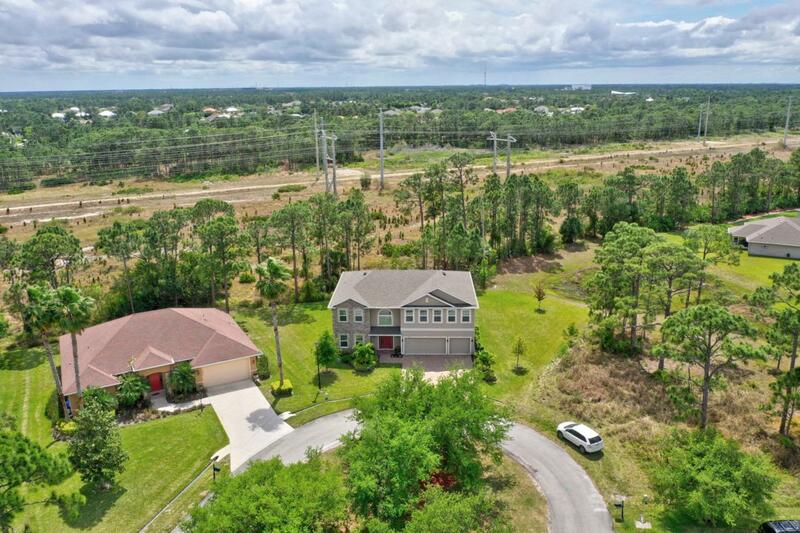 Fabulous backyard has new screened & covered patio and huge side yard that backs up to a private natural preserve (cannot be built on). Perfect for entertaining or watching fireworks from your backyard for the St Lucie Mets games! 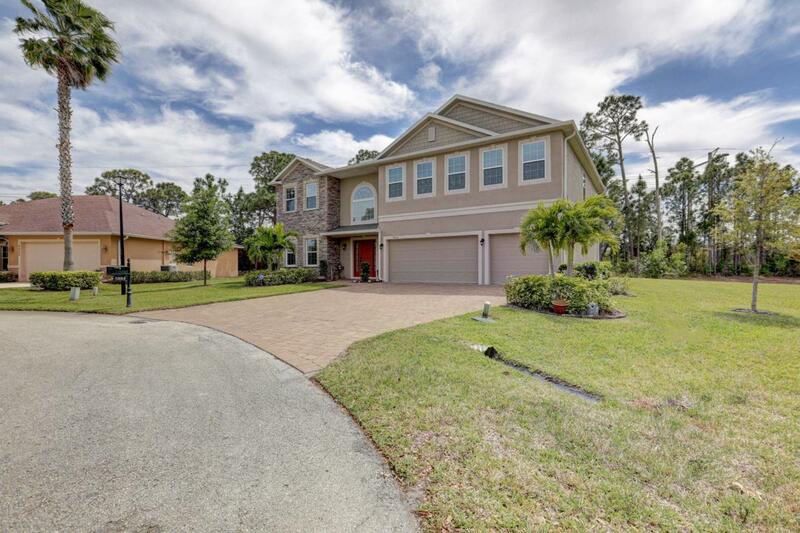 This generous home is perfect for a large family in the heart of Pt St Lucie close to A-rated schools, shopping and restaurants, main highways and events. Owner took great pride in building this lovely home and you will see why this one stands out above the rest!